The St. Clair County Department of Veterans Affairs (SCCVA) is an official registered Commemorative Partner of the Vietnam War 50th Anniversary Commemoration and will be hosting events for Vietnam veterans and their families from this day forward. The Vietnam 50th Anniversary program is organized locally to thank and honor veterans of the Vietnam War living in St. Clair County, including personnel who were held as prisoners of war or listed as missing in action, for their service and sacrifice on behalf of the United States. The Commemoration honors all United States veterans who served on active duty in the U.S. Armed Forces at any time between November 1, 1955 to and May 15, 1975, regardless of location. 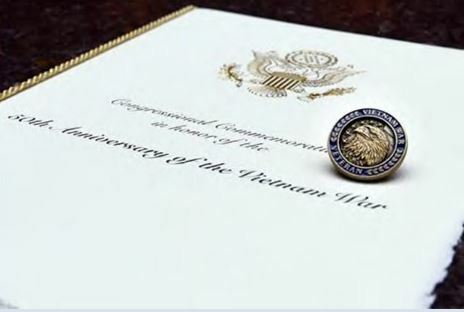 The Commemoration makes no distinction between veterans who served in-country, in-theater, or who were stationed elsewhere during the Vietnam War period. All were called to serve and the overwhelming majority of these veterans served honorably and admirably. We are reaching out to each and every Vietnam veterans in St. Clair County to ensure they receive long lasting mementoes of the nation's thanks. For more information about the national program, go to www.vietnamwar50th.com. To receive recognition, contact Commemorative Representative Nancy Deising, SCCVA Outreach Coordinator at (810) 989-6945 or by email at ndeising@stclaircounty.org. 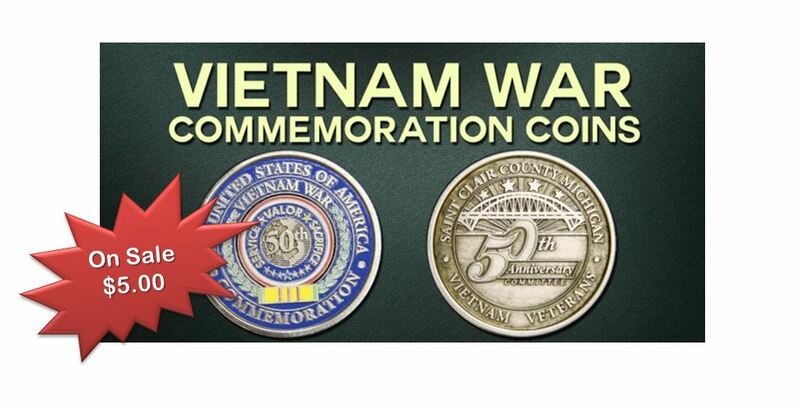 Our office is selling Vietnam War Commemoration Coins for only $5. Please get your coin today!